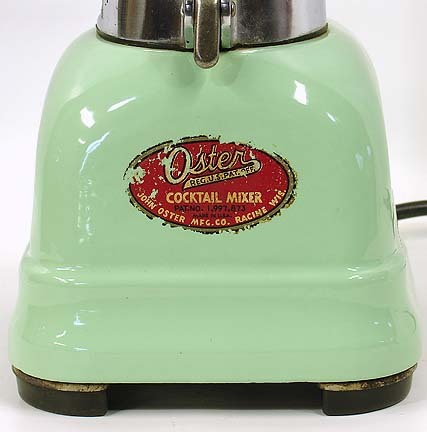 Being offered for auction is a ~~FABULOUS~~ OSTER COCKTAIL MIXER in working condition. 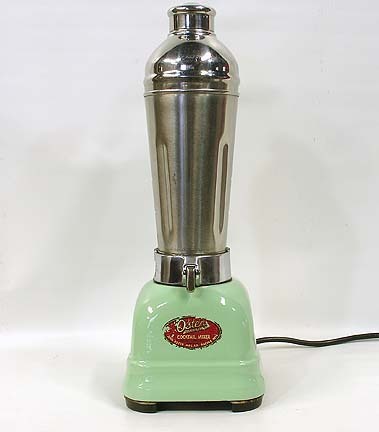 The hallmark of this electrical appliance is the beautiful green porcelain base. The base features the original label as well as teardrop shaped rubber feet which are in very nice condition. The cord is in very nice shape as well. The cup base has minor chrome pitting. The chrome canister, shaker and lid are in top notch condition. The lever works to hold the canister in place. When in the 'lock position' the canister blade mixes the cocktail. 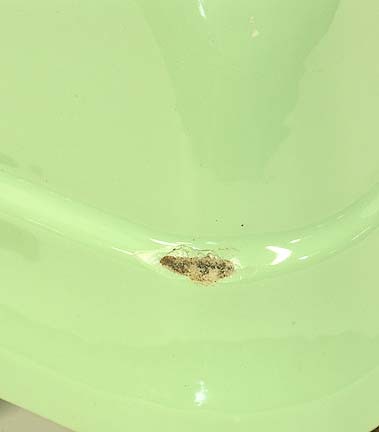 The green porcelain base is very nice, but does has one small chip on the back left-hand side of the machine. 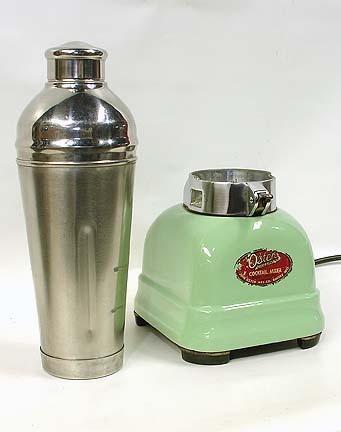 I have seen juicers and milk shake makers, malt mixers all by HAMILTON BEACH, but I have never seen an OSTER COCKTAIL MIXER. What a great addition this would make to your bar!